Friday September 18, Dark Side Racing on location at McMahon Stadium as part of PROSTAID Calgary''s "Calgary Stampeders Home Game Tailgate Party". Over the past 3 years Dark Side Racing has championed PROSTAID Calgary’s cause and successfully delivered our awareness message to an incredibly important target demographic: the 40+ male motorsport enthusiast. Calgary Stampeders football fans are known far and wide to be the loudest and most passionate fans in the entire CFL! 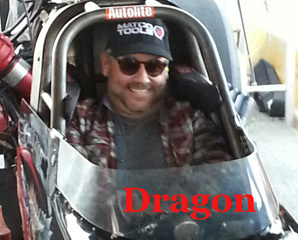 We were thrilled to introduce the sights and sounds of Western Canada''s only Top Fuel Dragster to another incredibly important demographic in our awareness campaign and fire up our 8,000 horse power motor during the tailgate event. 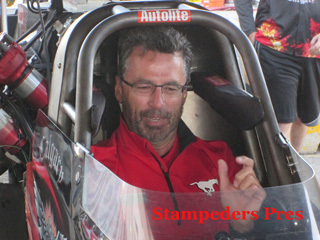 Calgary Stampeders President - Gord Norrie and W Brett Wilson toke the Seat of Honor in the cockpit of the Dark Side Racing Top Fuel Dragster . The Man Van was also on location with us at McMahon Stadium providing free PSA tests to men aged 40 and over.